Our big news, in case you haven’t heard, is that Ruth is pregnant! We have always dreamed of having 4 kids, and now we are well on the way to seeing that happen. Baby Reutter is due late next January. The girls are very excited and Becca thinks it will be a boy and we should name him Joshua because he was such a strong man in the Bible! Go figure! We’ll find out soon enough if it is a boy (our track record has been to the contrary so far). Speaking of new life, at our recent church baptism, we baptized three people from our cell group — 2 Japanese and an ex-pat from America. God is doing wonderful things in our church and in our cell group. We have a number of people attending our cell group right now very interested in the Gospel and our prayer for them is for the revelation of God’s love in Jesus. Our big goal for the end of the year is to raise up 4 different leaders to lead their own groups. Please pray with us for an out-pouring of grace to see that happen. It is a God-sized goal and we look to Him to do it through us. 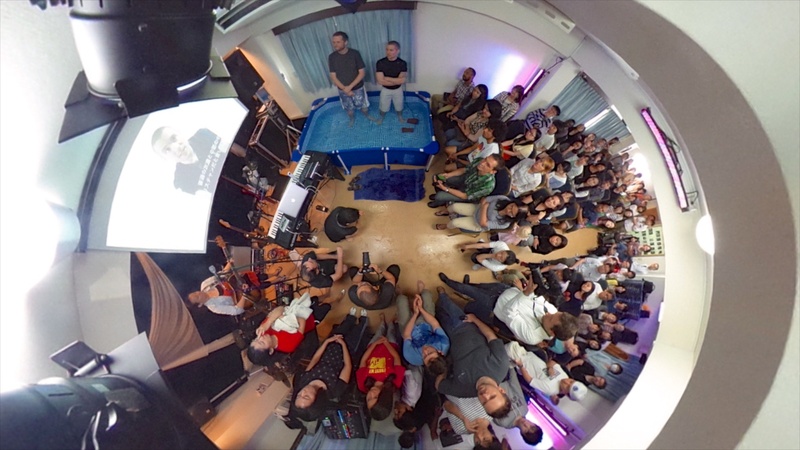 The church was packed for a very exciting baptism service! 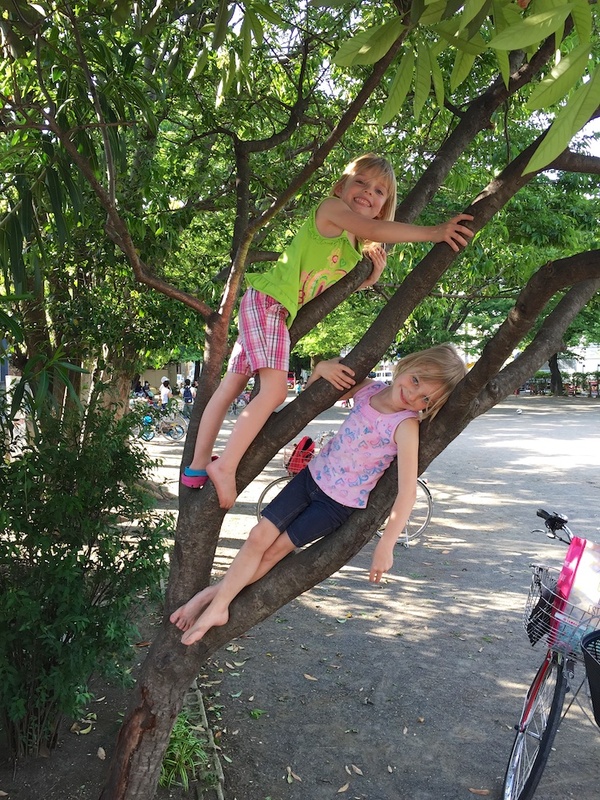 The girls have been learning more and more Japanese, and their teacher says they are doing a good job of making new friends and playing with the other kids. (I was excited because I was able to read most of her letter that she wrote us in Japanese.) They just started summer break and will be taking some extra Japanese classes to help strengthen their Japanese. We keep praying that they will continue to adjust well and make lots of friends with whom they can share the love of God. They love dancing in their ballerina class and they share dad’s love for music. These girls light up any environment! I (Nate) continue to study downtown Tokyo in Shinjuku. I have been studying over a year now and would like to continue studying as long as possible. The full program is two years long, and even after two years people often aren’t fully fluent. Just having to learn 2,000 different kanji (drawings) for words is challenging enough, let alone a brand new vocabulary and grammar. But we press on, and Ruth is studying as much as possible at home while taking care of 3 kids, a husband and a cell group (all while being very pregnant and feeling it)! 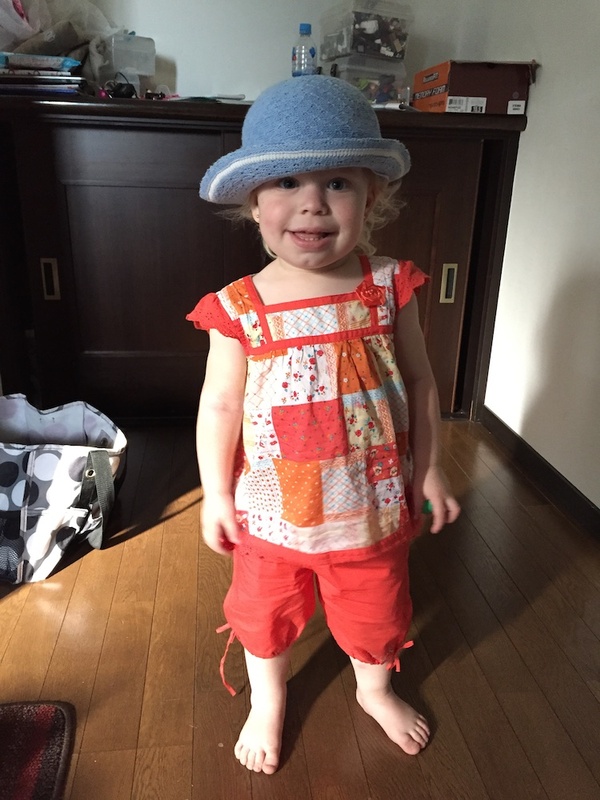 Sarah is no longer a baby — she just turned 2 years old and is an all-out toddler; babbling, saying her letters and naming colors. She has turned into quite a little comedian that keeps us quite entertained. Her favorite activities include flying through the air, writing on things she shouldn’t and going outside to play in the dirt. Last but not least, this Sunday begins a 3-week fast leading up to the 70th year anniversary of the end of World War II. Our church is praying for breakthrough for our church and the Japanese people. During this time, please be praying with us for God to do a new work. For more information about the heart behind the fast, see this recent emailing from PAZ. We praise God for each one of you and thank you from the bottom of our hearts for your sacrificial support. 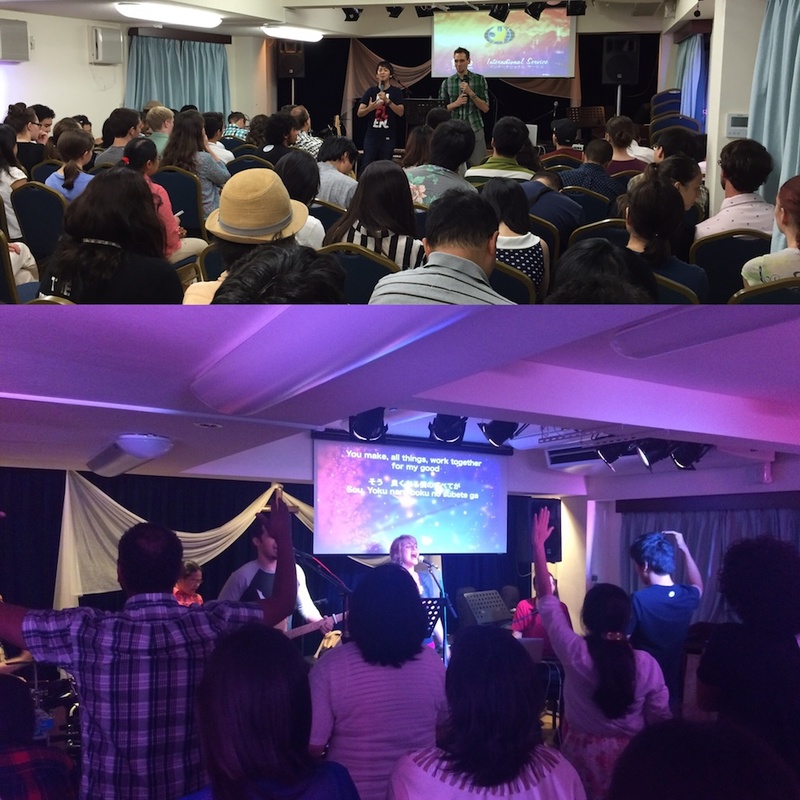 God’s Kingdom is advancing in Japan, and it’s advancing because of you! We pray God’s rich blessings on you and your families. We love you!! Let’s keep praying for an outpouring of love of Japan like has never been seen!